If you’ve been to a party recently, then you may have realized that photo booths are now all the rage for events ranging from weddings, to dances, to birthdays, and everything in between. However, it’s easy to shy away from the idea of having one at your next event because renting a photo booth gets too expensive—but it doesn’t have to. That’s right—you can make a photo booth on a shoestring budget using a Photo Booth iPad App, without even using a “real” camera. Your iPad has nearly everything you need to create an incredible photo booth that your guests will love. 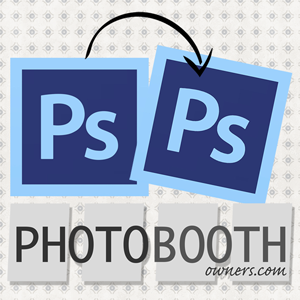 All you’ll need is a few things to spice it up to offer the authentic photo booth experience. 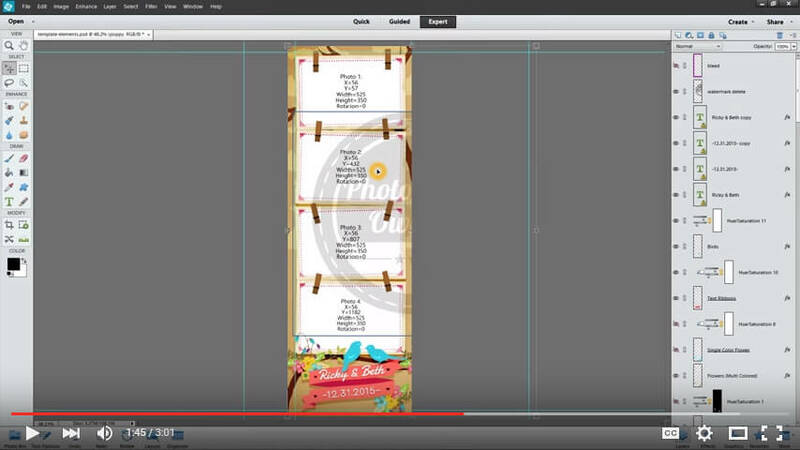 Let’s take a closer look at what you can do to enhance your homemade photo booth! 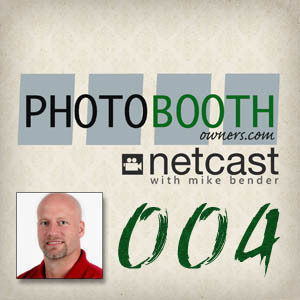 Lighting is an extremely essential aspect of taking professional-looking photos. If you’re planning for an outdoor event, find a space for your photo booth that capitalizes on natural lighting. Whether you’re inside or outside, you can also take extra steps to provide the area with adequate light, and you especially should if the event will be taking place later in the day. Simple household lamps will do the trick, and any bulbs that say “daylight” on the packaging or boast a color temperature in the range of 5000K and 65000K will mimic daylight. Want to spice things up even further? Consider colored light! As long as the area is still very well-lit, you can get beautiful, professional-looking pictures with unique colored light. The point of photo booths is to have fun and be able to show off your silly, uninhibited side. Props help to make this easy! With toys, costumes, and more, you can make the experience more interesting and enjoyable for your guests. If you want to mimic the full photo booth experience, it’s a good idea to include an instant photo printer and connect it with your iPad. This way, guests can take their silly pictures and go home with their keepsake afterwards. If you choose to do this, fair warning: before your event, you’ll want to make sure to purchase plenty of film to get through the event, and spare batteries for the printer. It’s also a good idea to have someone tasked with the responsibility of periodically checking on the setup to change out the film, or to post a sign with instructions on how to do so. It’s always a good idea to show off an entertaining or visually interesting background scene! Whether it’s the Eiffel Tower, an image of a pristine beach, or a simple pattern like a floral background, it adds an extra element to your photo booth! When picking out your props, it’s also a good idea to keep your background in mind and possibly pick out items that correspond with the scene you have chosen. 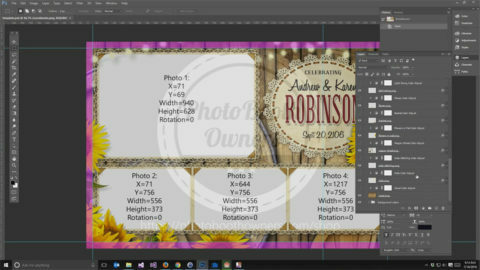 At Photo Booth Templates, there are thousands of template options to choose from, created by professional designers to get the best effect. 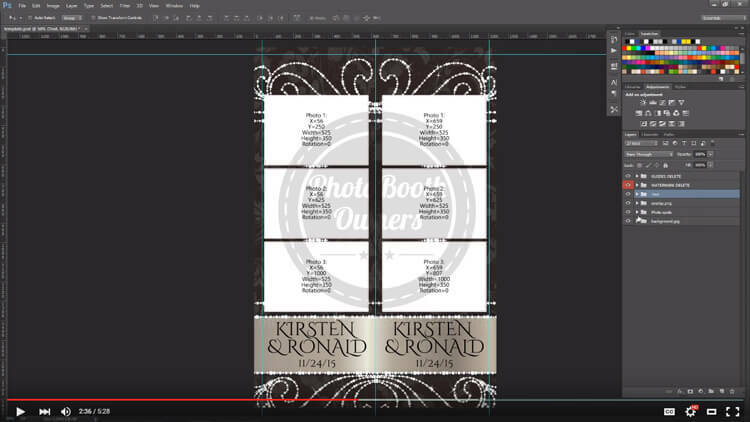 Created using their own designers and over 60 years of combined experience in the industry, there are stunning templates for nearly any theme you choose. 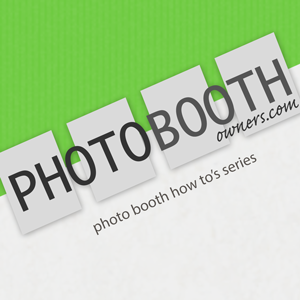 Wow your guests with truly professional-looking photos at your photo booth using this simple, effortless solution. By doing these simple things (or a combination of those that apply to your situation), it couldn’t be easier to create an incredible and memorable photo booth for your guests to enjoy at your upcoming event. From weddings to balls, to simple parties and everything in between, photo booths are always a unique week to keep the fun going! And now, it doesn’t need to cost you a tremendous amount of money to make your own! If you have some extra money in your budget and are looking to up your game. You can provide a top notch experience for guests purchase a photo booth designed specifically for the iPad. One of the hottest booths on the market is the Mobibooth Aura™ featuring a large 5500k ring light, gorgeous mirror faceplate and a premium finish. Julio Amorim heads the team a up at Snappic , when he is not talking techie stuff he likes to go out to the mountains and get a thrill from snowboarding and skiing downhill.